Discover the antislavery writers and reformers of the 17th, 18th, and 19th centuries whose passionate words formed the vanguard of a global movement. Join Gilder Lehrman and James G. Basker of Barnard College in a study of the poetry, fiction, sermons, slave narratives, and songs that helped end American slavery and make human rights an expectation of people throughout the world. Readings: The suggested readings for each seminar session will be listed on the “Resources” tab on the course site. Please note that you are not required to read or purchase any print materials. The quiz will be based on the content of the seminar recordings rather than the readings. Course Access: After your purchase, you may access your course by signing in and visiting your "profile" page. 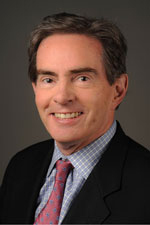 James G. Basker is the Richard Gilder Professor of Literary History at Barnard College, Columbia University. He was educated at Harvard and Cambridge and as a Rhodes Scholar at Oxford. He has published several books, including Amazing Grace: An Anthology of Poems about Slavery 1660–1810 (2002), Early American Abolitionists: A Collection of Anti-Slavery Writings 1760–1820 (2005), and American Antislavery Writings: Colonial Beginnings to Emancipation (2012). Professor Basker is also the founder and president of OxBridge Academic Programs, which for the past twenty-five years has sponsored academic summer programs and teacher seminars in Oxford, Cambridge, Paris, Barcelona, and New York. Tim Bailey is the 2009 National History Teacher of the Year and the Gilder Lehrman Institute’s director of education. He began his teaching career in 1989 and for many years taught history to a diverse student population at Escalante Elementary School in Salt Lake City, Utah. Bailey earned undergraduate and master’s degrees in education from the University of Utah, where he has served as an adjunct faculty member and teacher mentor. He has written three American history workbooks focused on primary sources for elementary classrooms in the Easy Simulations series, published in 2008 by Scholastic. A Fulbright Scholar in 2003, Bailey has earned several awards from the state of Utah, the Salt Lake City school district, and others.